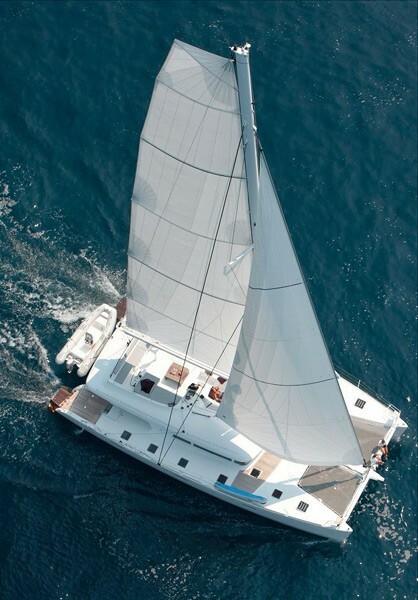 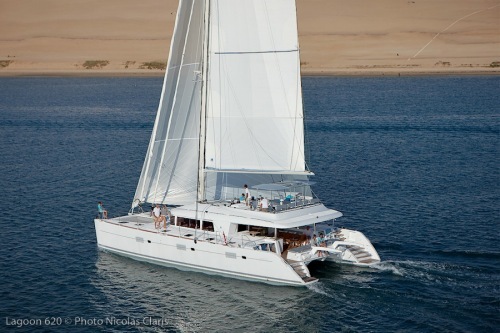 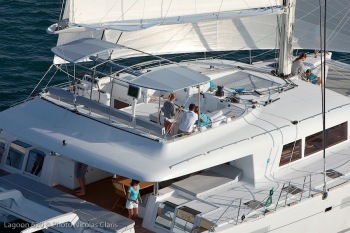 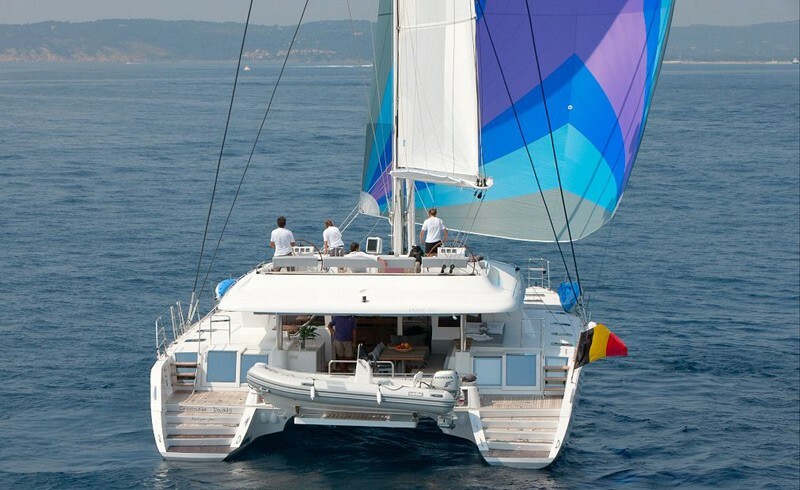 Luxury Sailing catamaran Crocodile Daddy is a brand new Lagoon 620, launched for the summer of 2010. 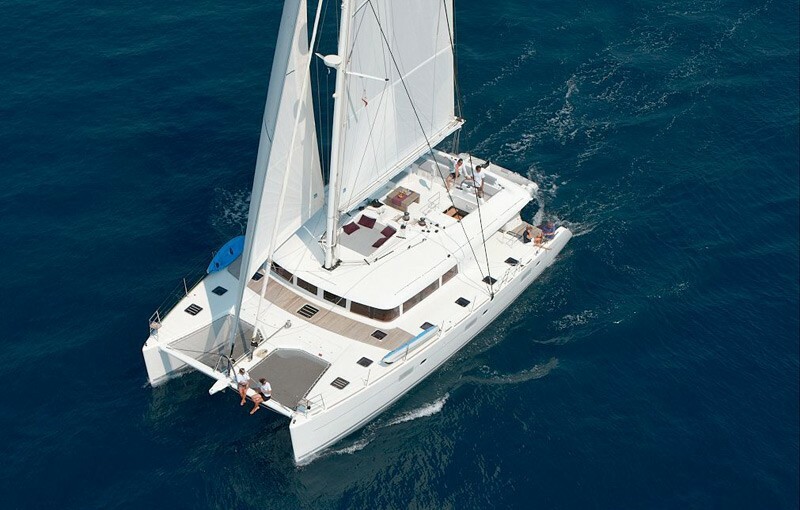 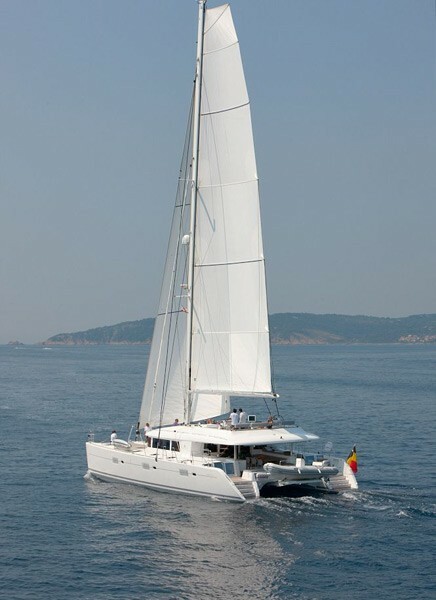 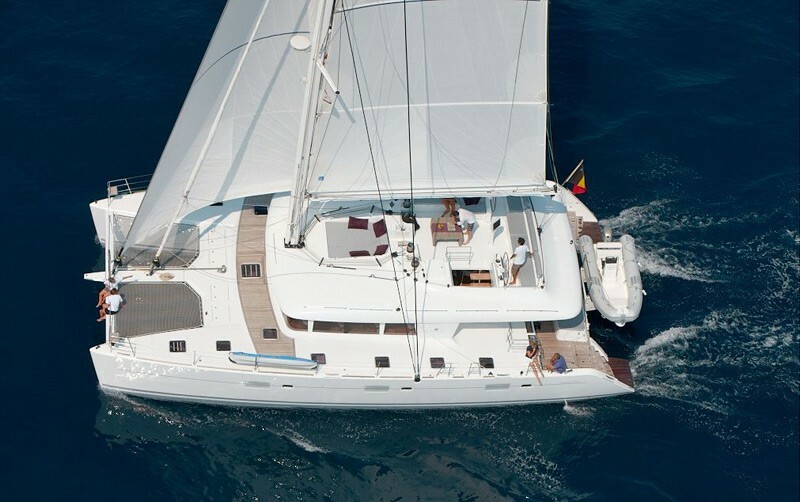 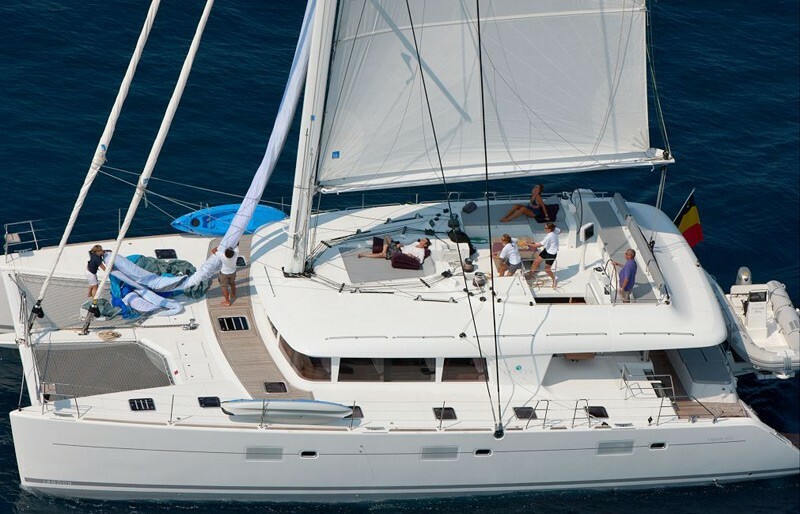 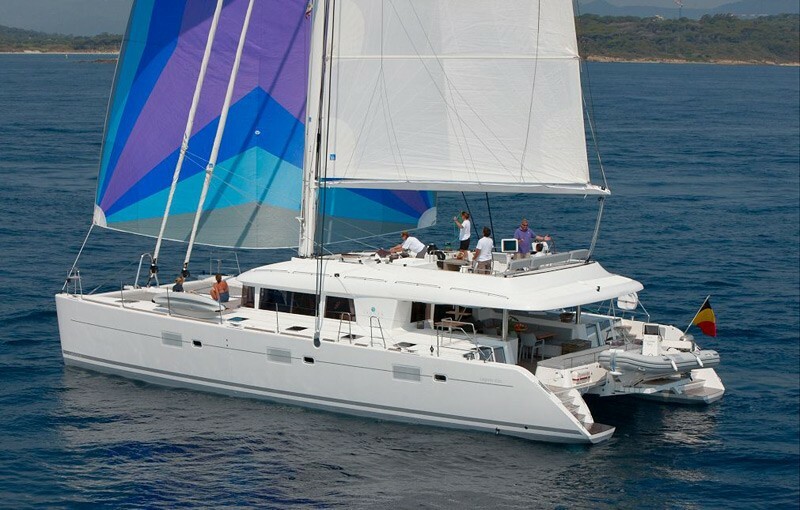 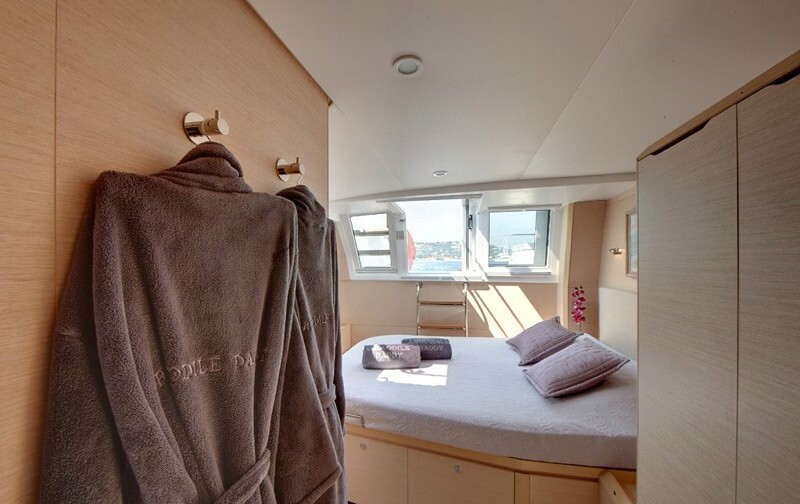 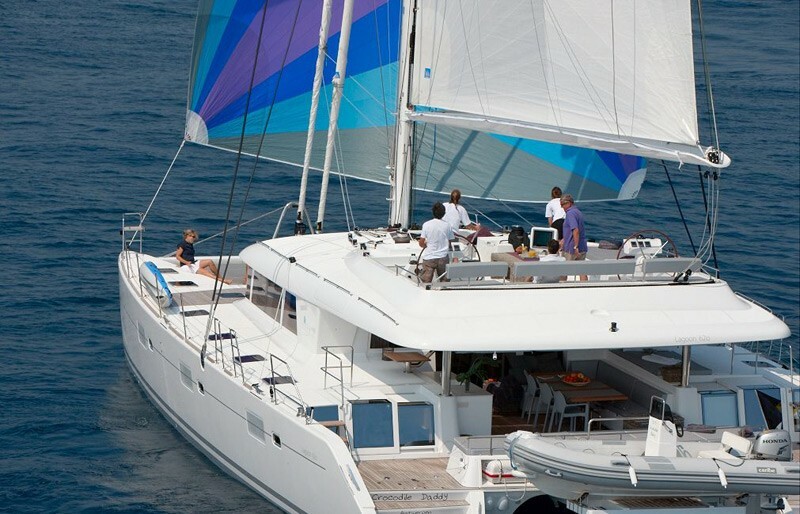 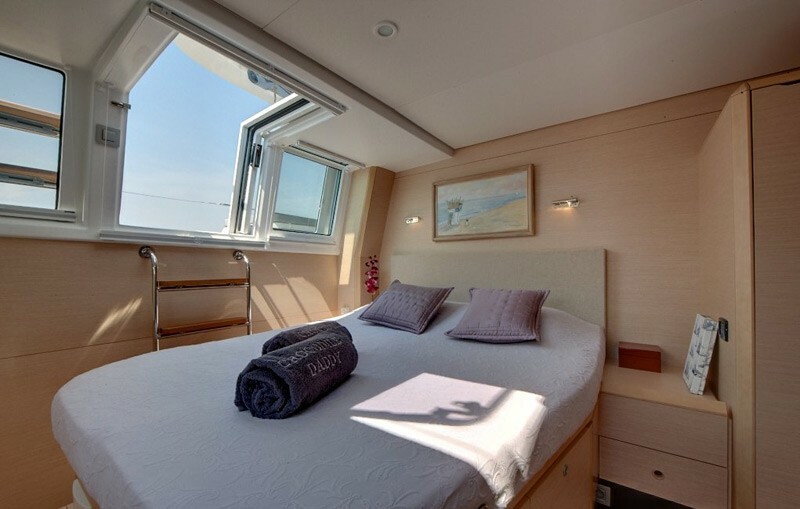 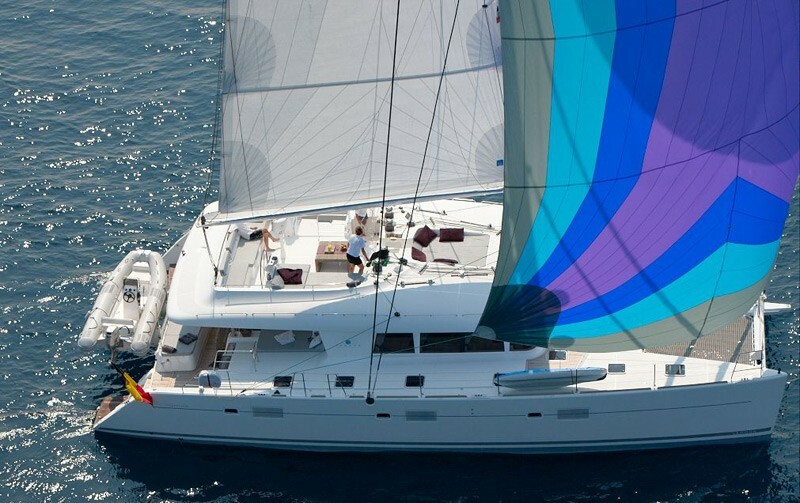 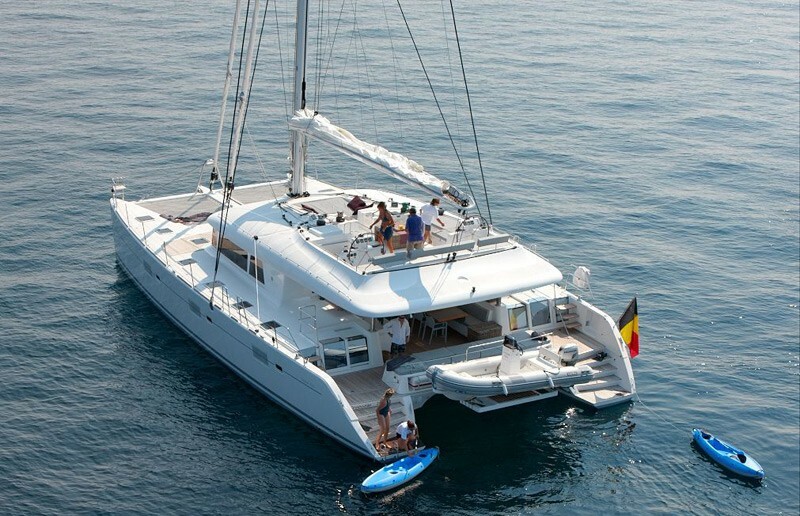 Crewed charter catamaran Crocodile Daddy can accommodate up to eight guests in four comfortable double cabins and charters throughout the Western Mediterranean in the summer months and the Caribbean in the winter. 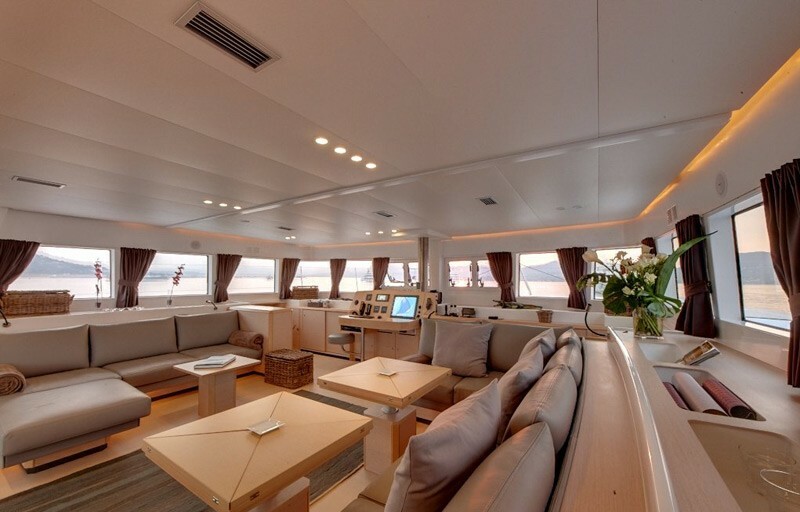 Sailing yacht Crocodile Daddy has a modern and spacious open plan interior consisting of light oak alpi and wenge woodwork with white leather sofas and huge windows allowing plenty of natural light and a great sense of space. 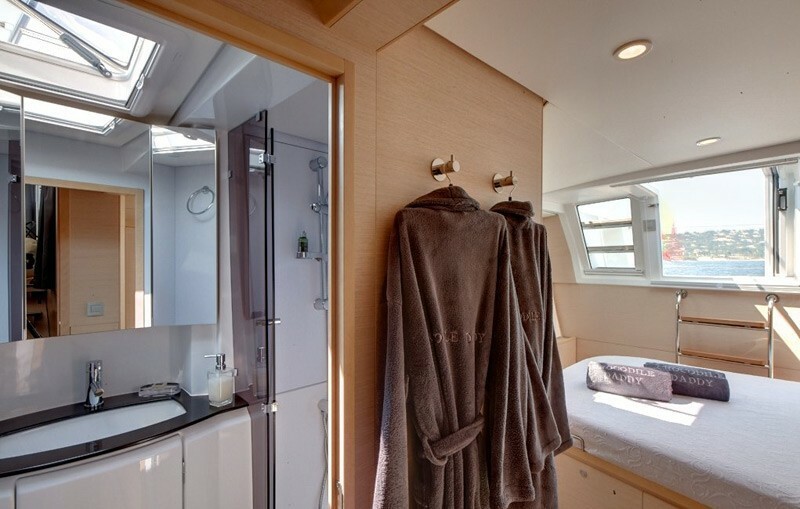 Catamaran Crocodile Daddy can sleep up to eight guests in three double cabins plus a master suite, all with ensuite bathroom with separate shower. 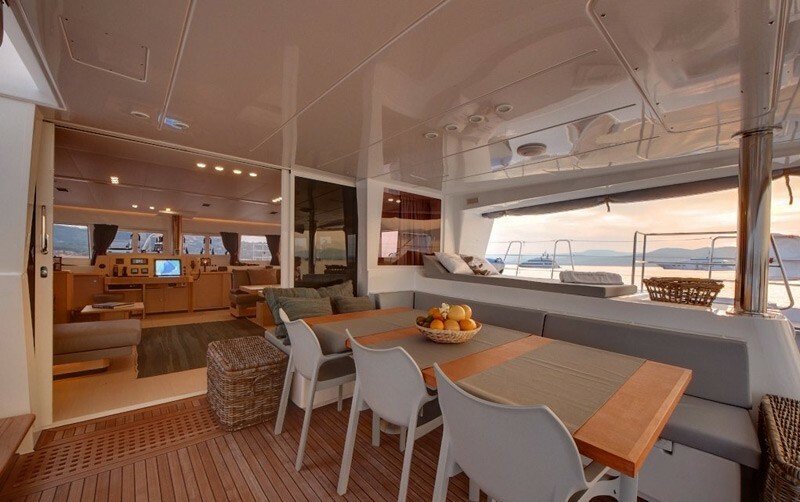 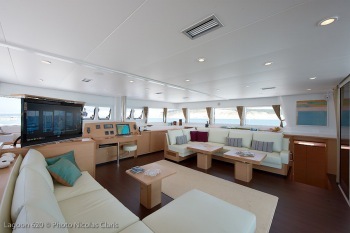 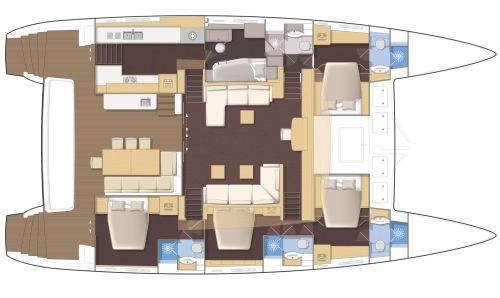 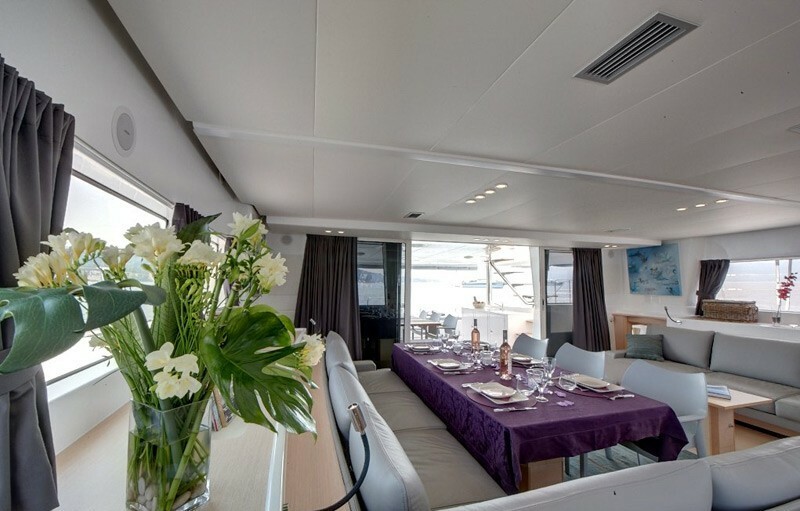 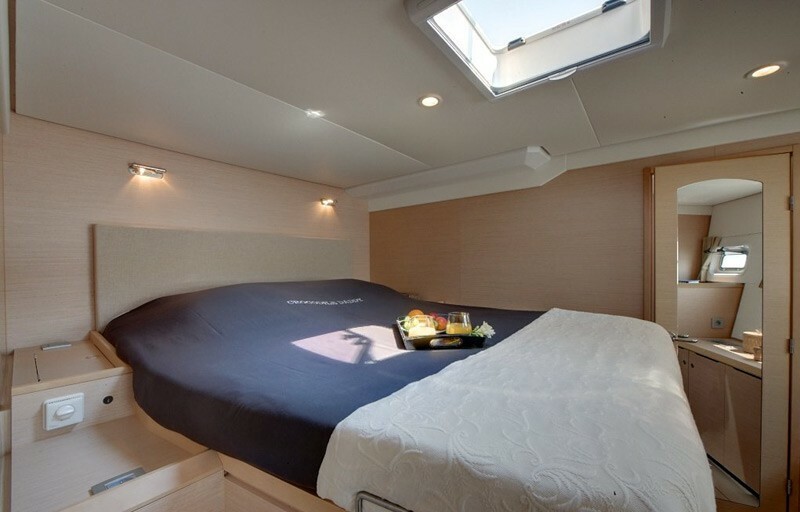 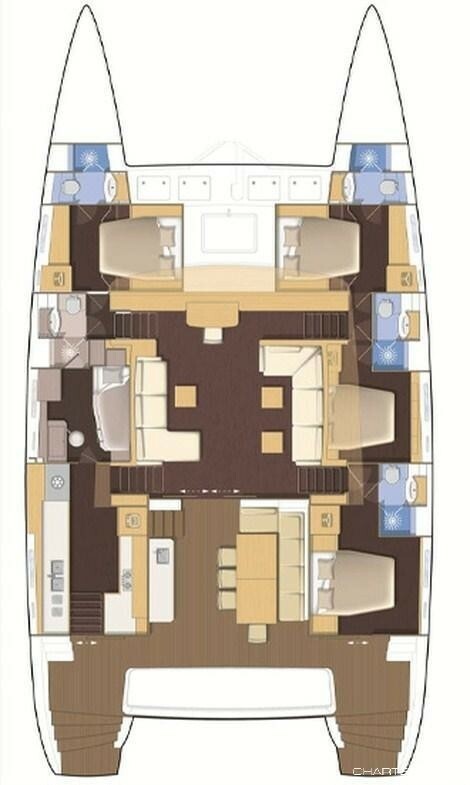 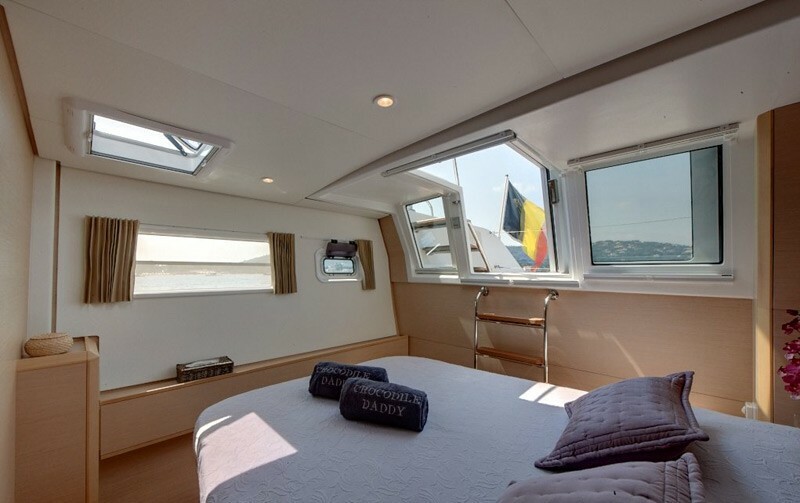 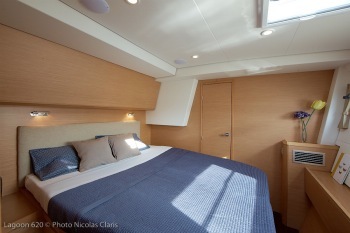 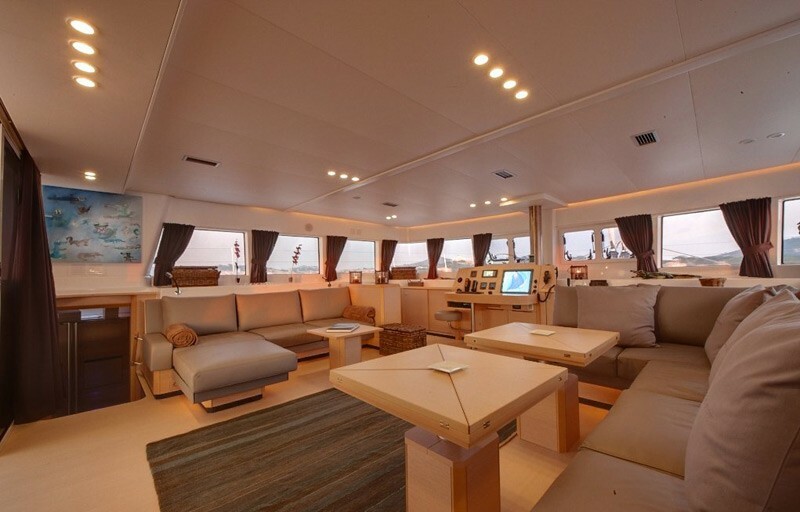 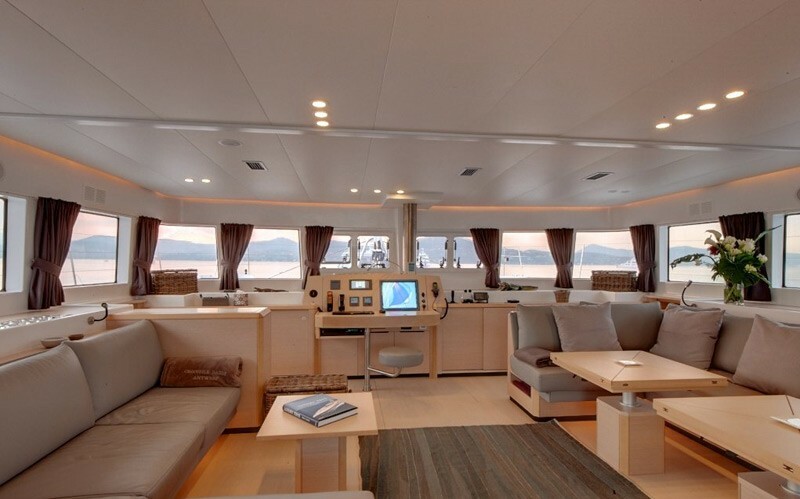 Unique to the Lagoon 62, the master cabin is accessible from the cockpit and from the saloon. 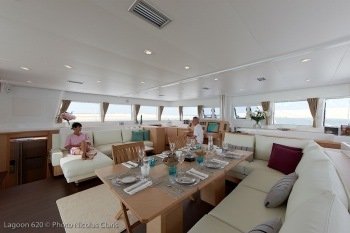 Crocodile Daddy offers guests a huge amount of outdoor space which is so important on any charter vacation. 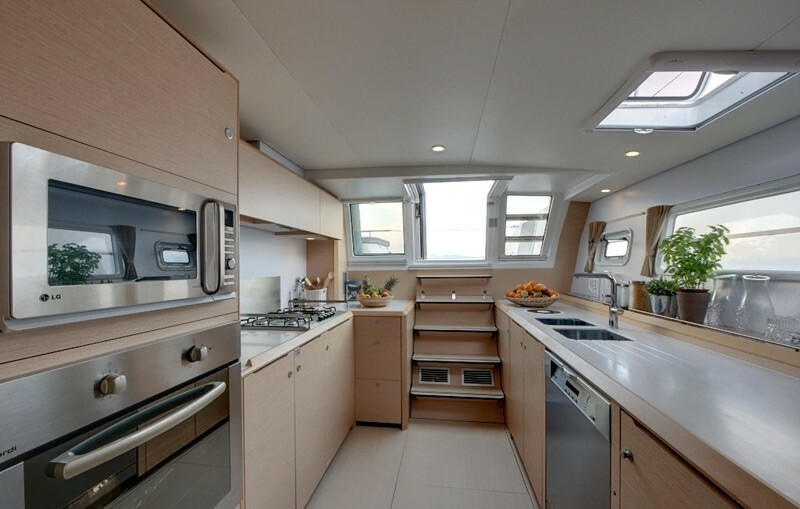 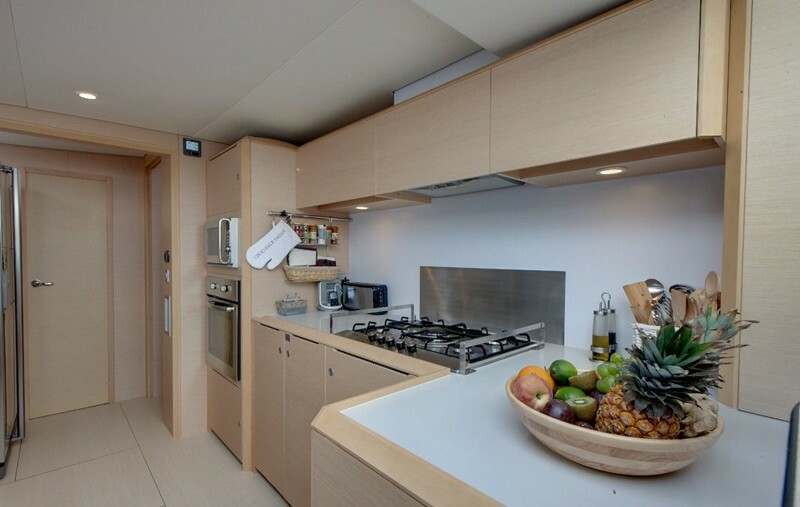 She has huge deck spaces including her aft deck area which includes and alfresco dining table to enjoy the fabulous gourmet meals your personal chef will be whipping up during your vacation. 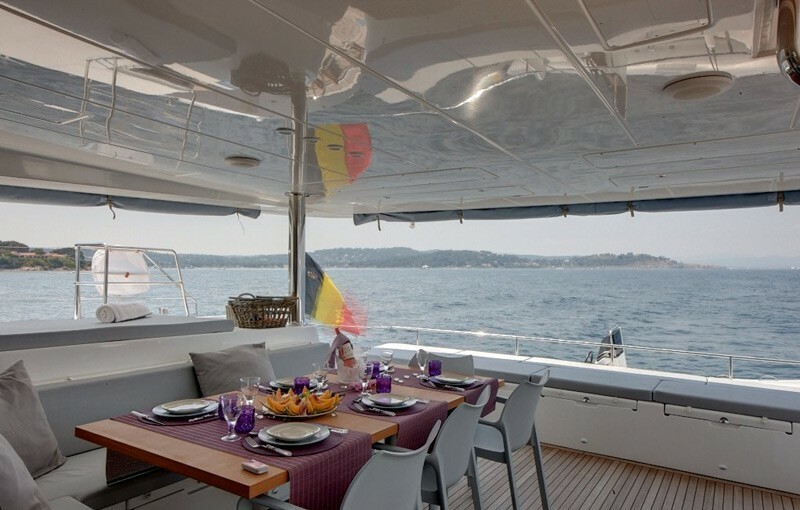 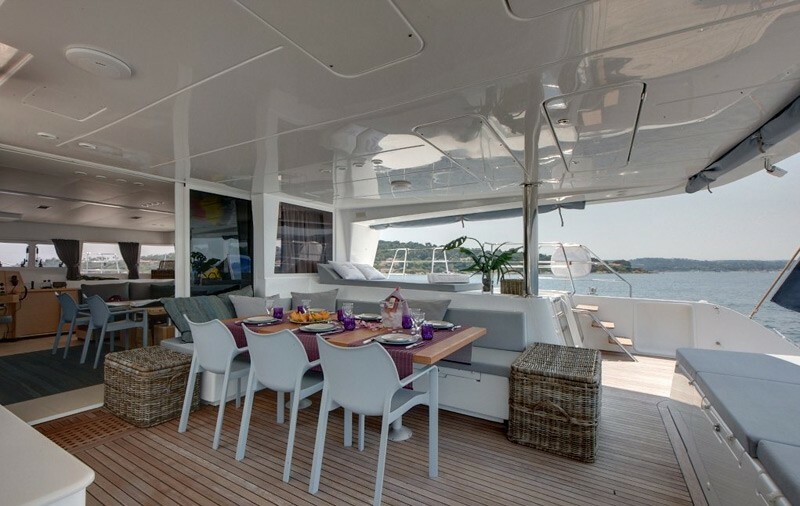 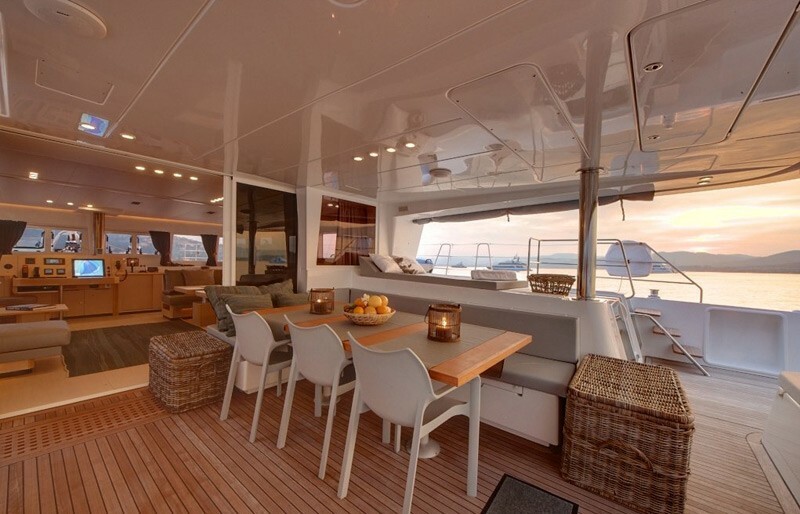 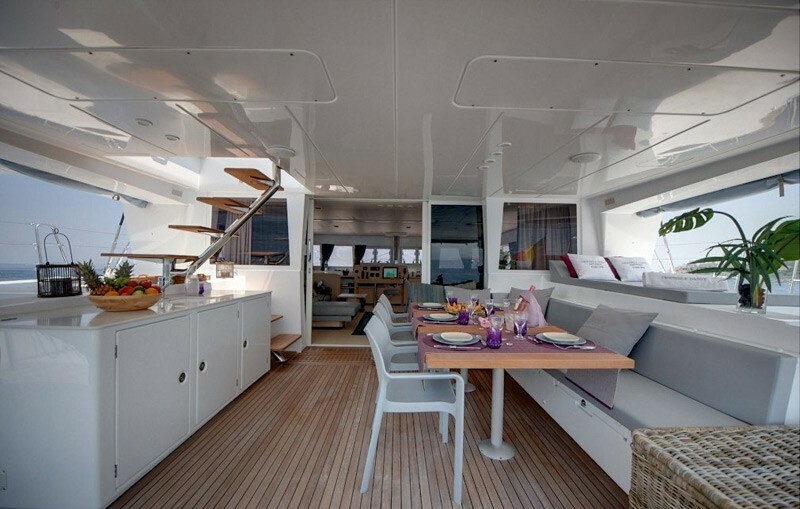 The large aft deck area is the perfect place to lounge and relax with plenty of seating and sun-pads. 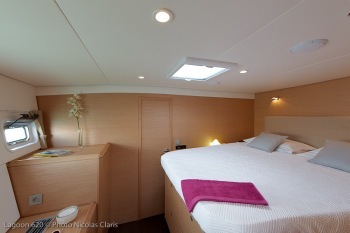 The aft deck is protected from the weather by a hard top bimini. 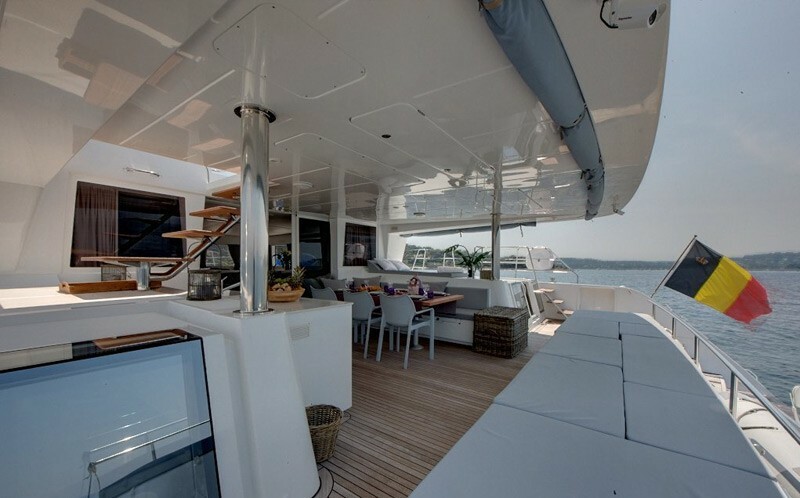 For easy access to the water, each hull has wide steps leading from the aft deck right down to the ocean where there is a small platform and ladders on each hull. 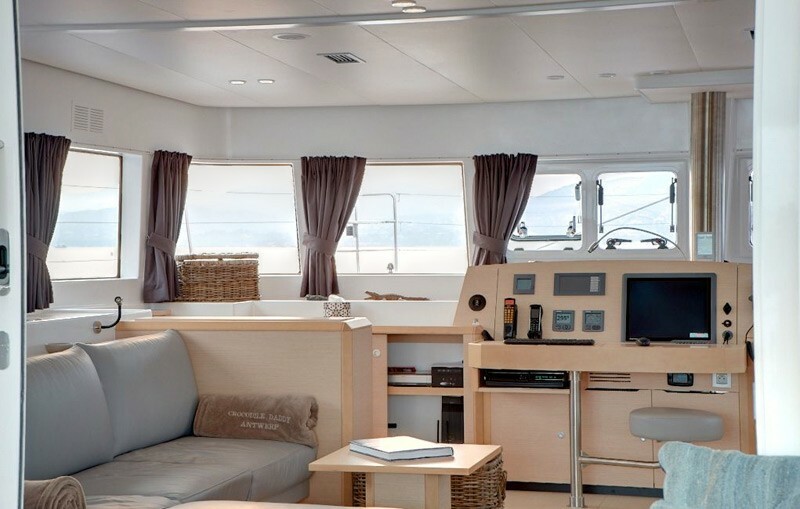 On the upper level there is an expansive fly bridge area with a bimini and sun pads – a great area to enjoy the view and one of the coolest features about this style of catamaran. 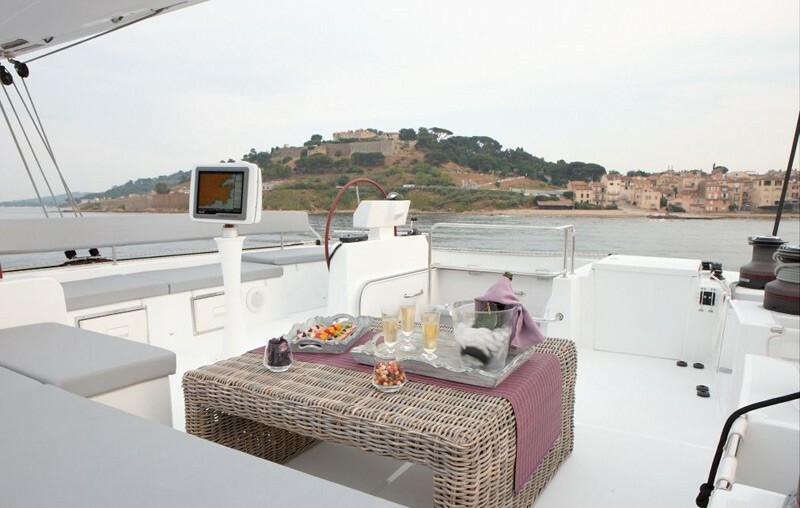 There is a further lounging area forward of the yacht where you can relax on the huge trampolines or if brave enough dive into the sea while at anchor. 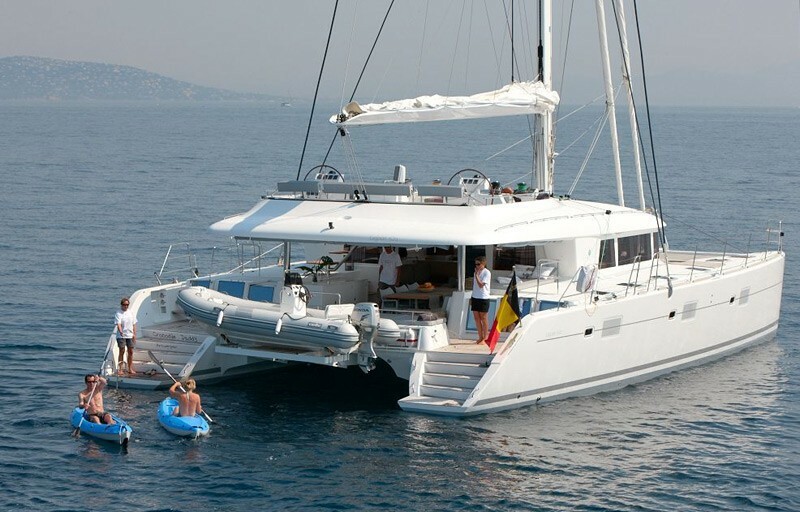 Charter yacht Crocodile Daddy has a good selection of toys on board including a Hard bottom dingy with 50HP, Water-skis, wake board, 2 kayaks, snorkeling equipment and fishing gear. 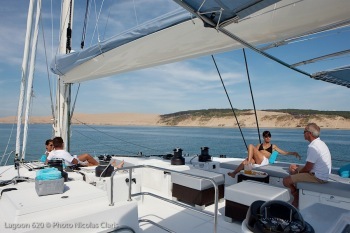 Catamaran Crocodile Daddy has a crew of 2 ready to welcome you onboard for your next luxury charter vacation. 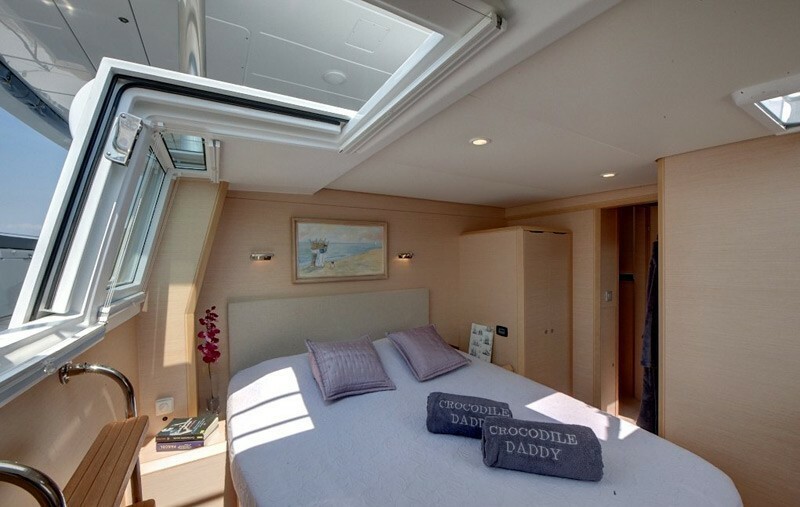 Crocodile Daddy features four double cabins including a master suite. 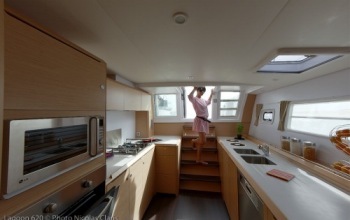 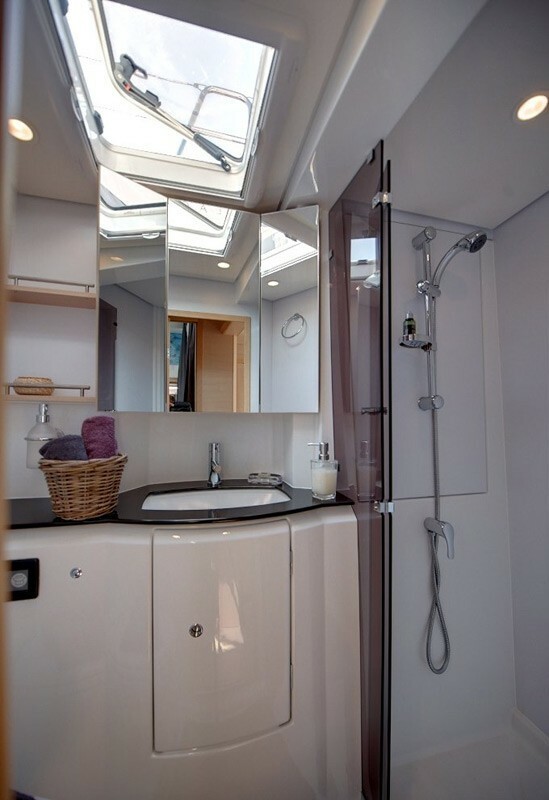 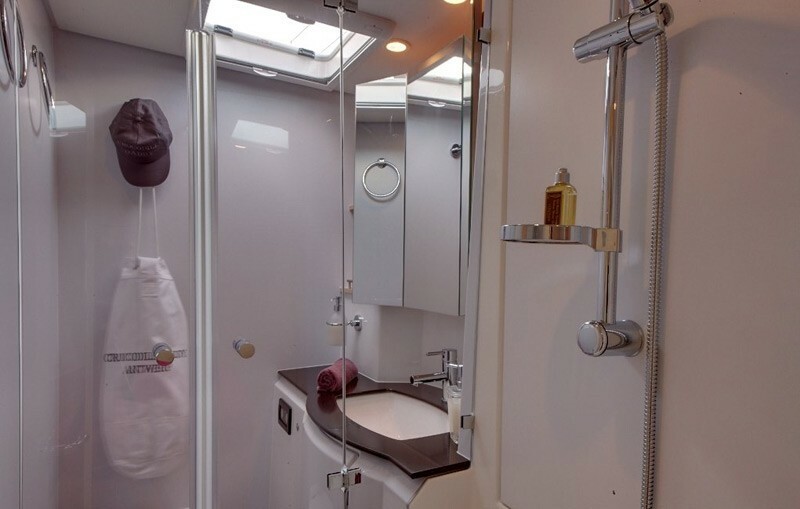 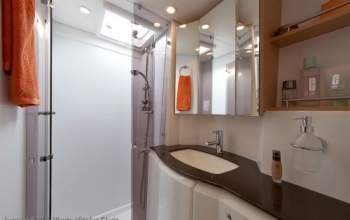 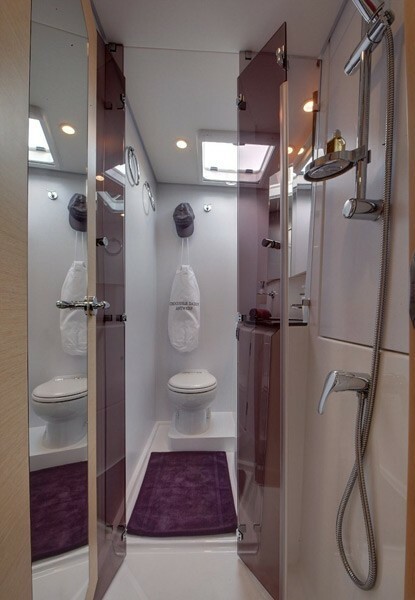 All cabins are large and comfortable and offer guests private ensuite bathrooms with dry heads. 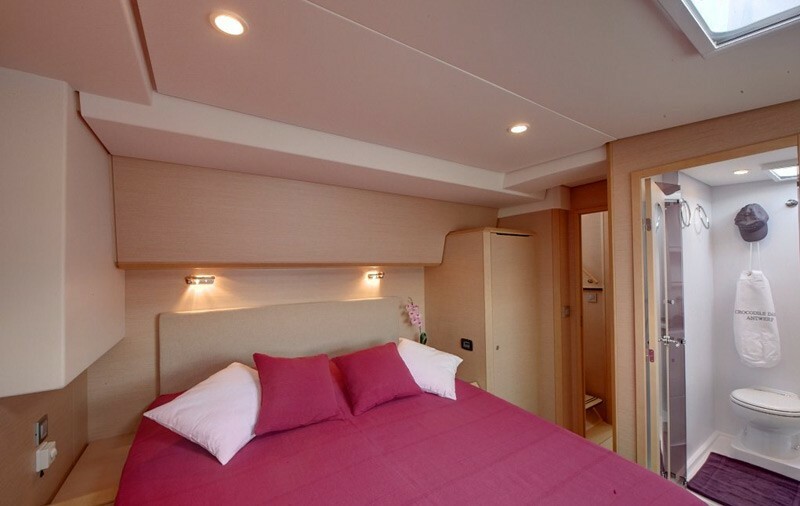 The master suite has two entrances one directly from the cockpit and one from the saloon. 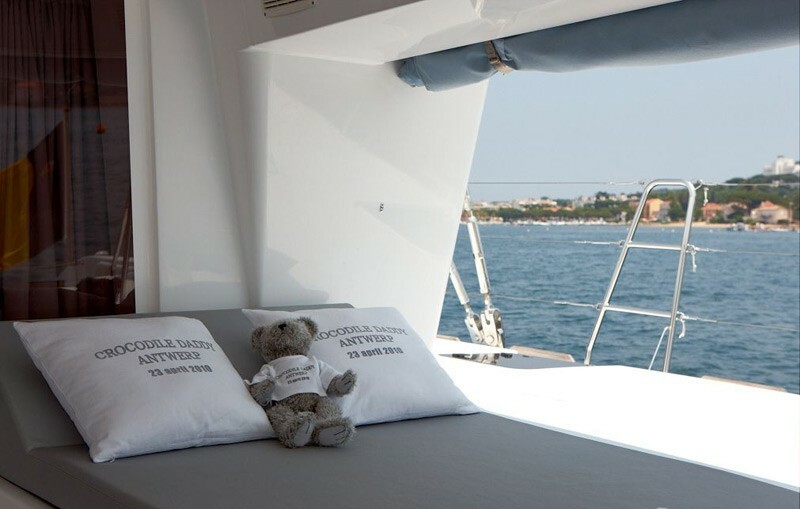 Crocodile Daddy comes with all the usual water-toy’s including water ski’s, wakeboards, Kayaks and a vast array of floating toys for guests to enjoy.